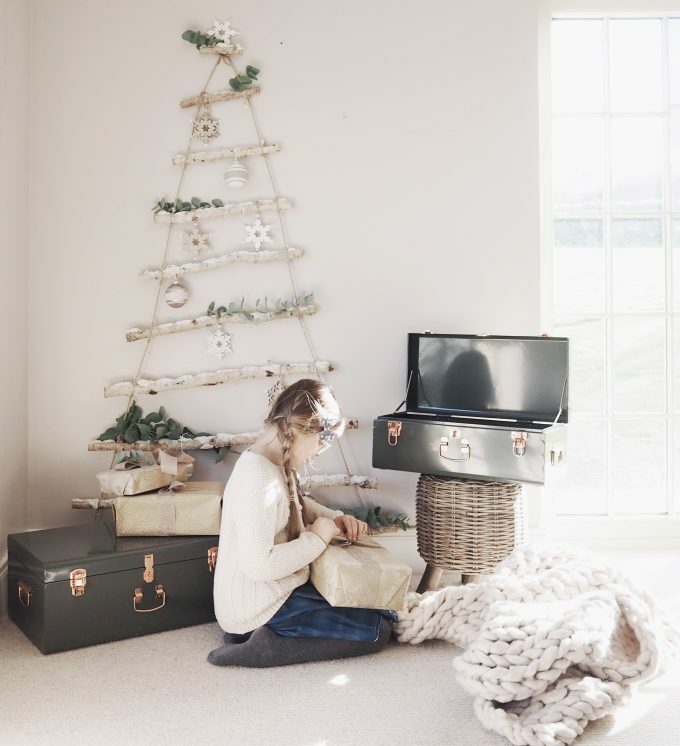 If there’s one interior influencer who knows how to make her home a truly magical space for her and her family at Christmas, it’s Emma Martin. 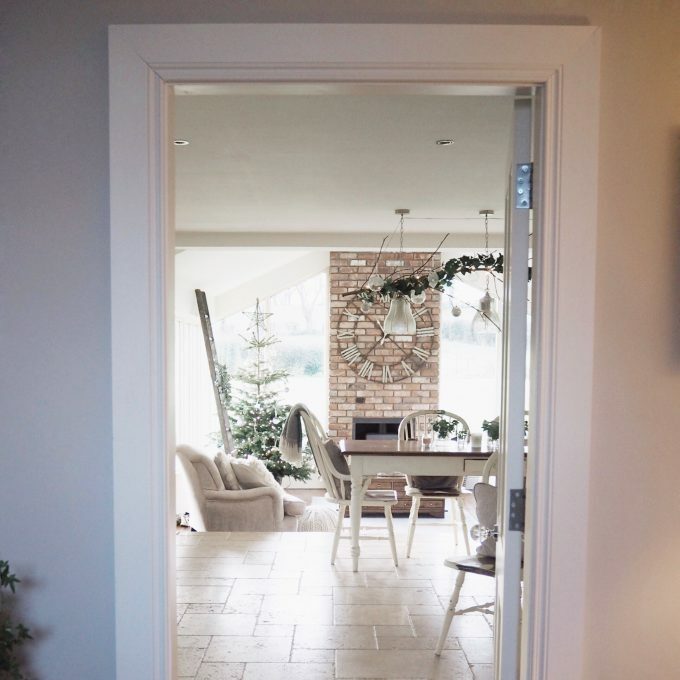 Emma writes the interior blog Amble & Ash, a blog that documents the interiors and family life of her self-build home in Ireland. 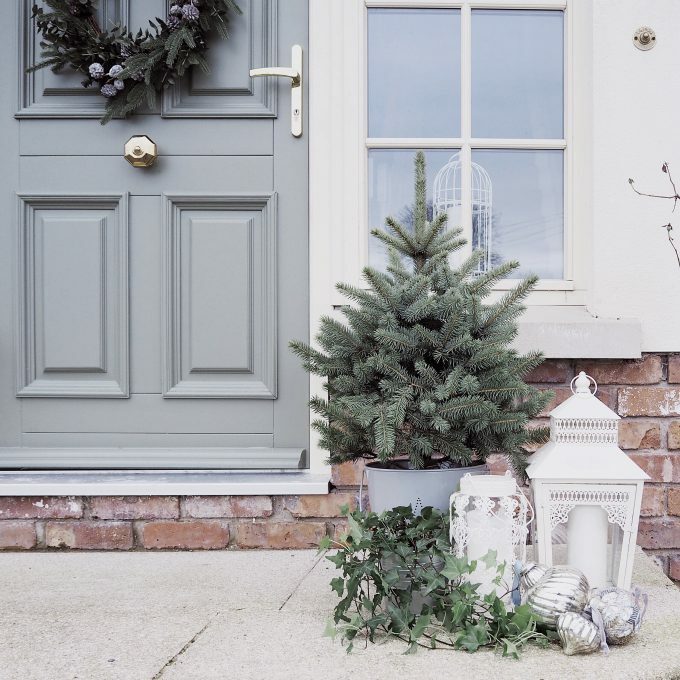 We’re delighted to invite Emma to the Shutterly Fabulous blog today sharing tips on how to style your home for the festive season and more. Having built her home from the foundations up, there’s a lot to learn from Emma’s experience and her rule of ‘three S’s’ – space, storage and simplicity. Tell us about yourself and why you started your blog. My name is Emma. 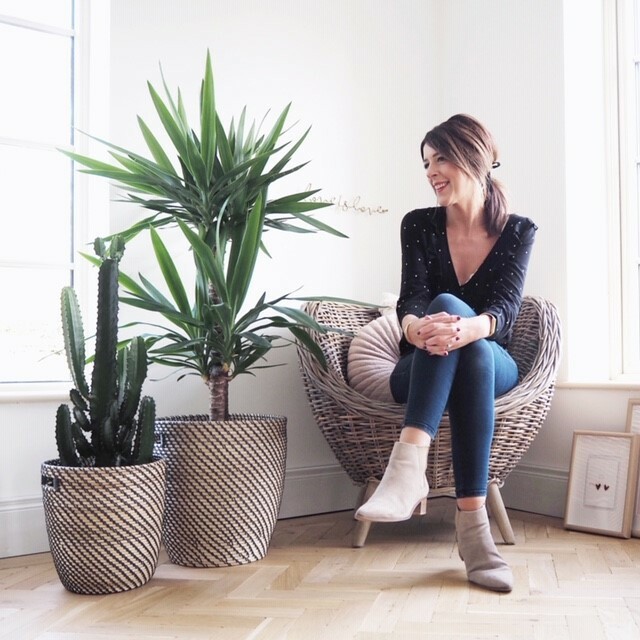 I’m a mum of three and an interiors stylist and blogger. I started my blog six years ago, just after we moved into our new self-build home. My husband is an architect and we designed and built our home in the Irish countryside over the course of a year. My blog and Instagram evolved as a way of sharing the process but has branched into other areas more recently. Now I cover travel, lifestyle and countryside living, as well as interiors projects too. Your home is a lovely blend of minimalism, rustic and really homely. Do you spend a long time considering how to style each room or do they tend to come together quite naturally? I think our home has really just evolved gradually over a period of time. When we were first designing it the whole ‘shabby chic’ trend was a huge thing, and so I was definitely influenced by that. We had lots of florals and pastel shades. As time has gone on, I’ve pared everything back a lot. We still have the soft, muted tones, but it’s a lot less twee now. With the advance of social media and the wealth of inspiration at our fingertips, it can be so easy to jump on new trends and lose your own style in the midst of it. It’s a daily battle for me to resist painting everything dark charcoal grey! Ultimately though, there’s quite a classic, countryside vibe in our home and I always want to work with and preserve that. A neutral palette suits our fixtures best, and so I always try to embrace that. 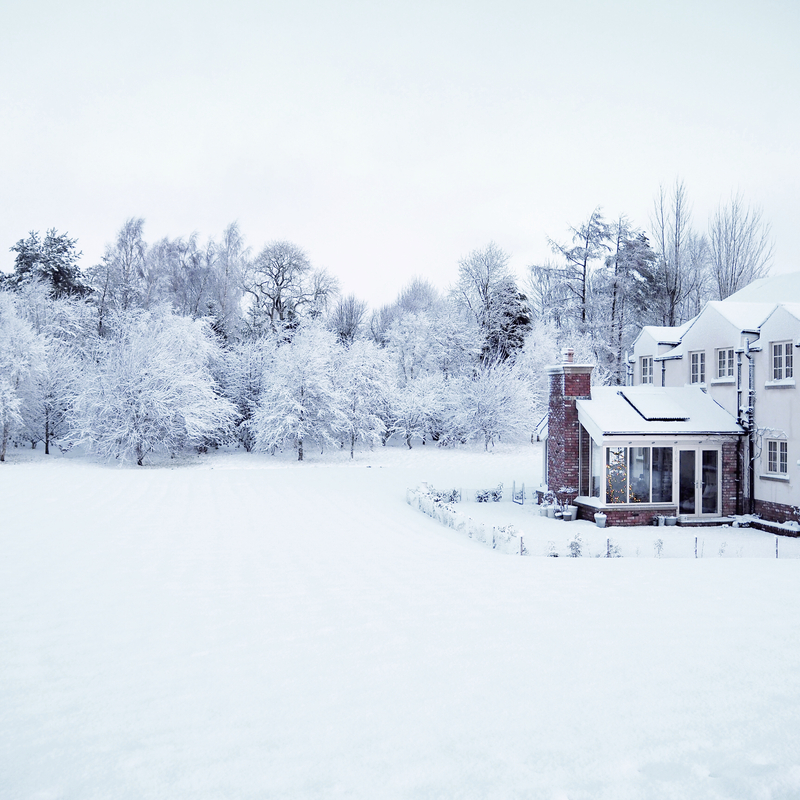 What are your top tips for designing a home that is both aesthetically beautiful and practical for family life? I always talk about the three S’s – space, storage and simplicity. If you are designing from scratch, think first about how you use your home. What layout suits best for you? Is open plan the best use of space, or are you just too untidy for it to work? In our home we opted for a big, open plan kitchen/ sitting room at the back of the house, but also incorporated separate office and playroom spaces at the front where we could close the doors and restrict the devastation associated with children. Ha! It has been really successful for us as a family, and we’d definitely plan a similar layout if we build again in the future. I think the key to any family home is as much storage as possible. Wherever you can squeeze it, do! We incorporated floor to ceiling cupboards along one wall of our playroom and added doors so that all the mess can be hidden away. They may not be too tidy inside, but no one would ever know! Likewise, storage boxes under beds, baskets on shelves and ottomans with hidden space inside are all great ways of minimising clutter. Lastly, keep it simple. I’ve chosen quite a minimalistic backdrop in most areas of our home and it means that when all the clutter that comes with family life is added, it doesn’t feel too overwhelming. Soft shades, simple artwork and natural textures all work well to keep the space airy and relatively calm, even when you add in toys, artistic creations and three energetic children. Especially in the Winter months, I love to fill our home with green plants and all the textures and scents of the surrounding countryside. I use lots of trailing ivy, fresh eucalyptus and holly, and place them in tin containers for a more rustic feel. Rather than full-on glam and glitter, I opt for decorating in a way that could carry through the whole Winter season. A branch above our dining table, decorated with an ivy garland, fairy lights and glass baubles, and our mantlepiece decked with little Nordic houses with candles inside. It’s a subtle nod to the season, but one which we can live with from November to February too. It really brightens up the dreary January days! Our colour palette is very neutral, and so we decorate with soft silver and gold, green and lots of glass. It’s really pretty when it all comes together. We’ve also been gathering special decorations since we had our very first home together. It’s so nostalgic to pull them out and hang them up each year, and each one has a special memory associated. When space is limited, think about different ways to display decorations. 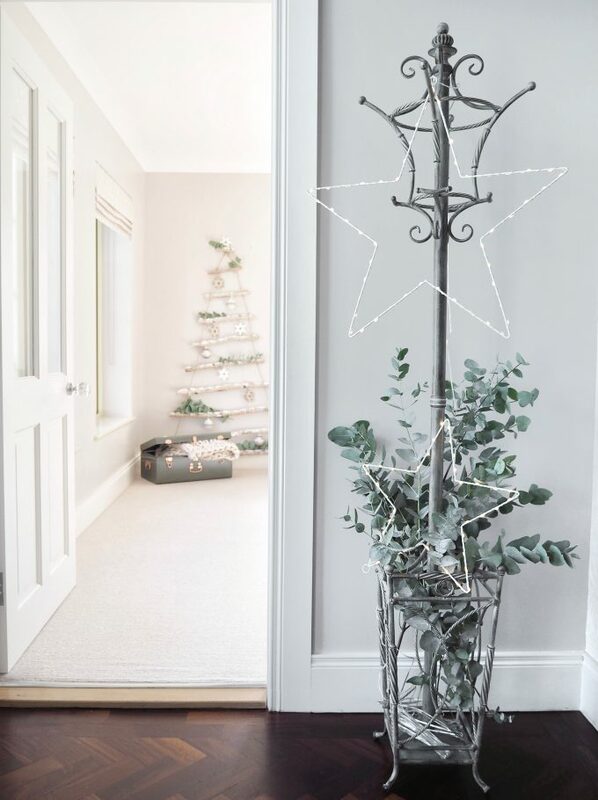 Wall mounted trees are brilliant for adding festive cheer without encroaching on living space. We have a gorgeous twig and rope one which fits perfectly in our scheme. Christmas only comes once a year and it’s fun to do something a bit different with your décor too. It’s only for a few weeks and can be packed away come January if you are fed up with it. It’s the perfect time to try something new! 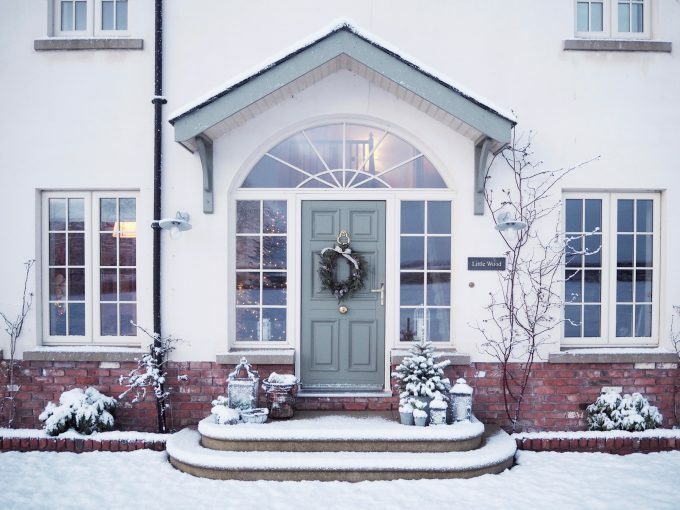 What does Christmas look like in your home? Do you stick to one colour scheme or do you incorporate lots of colour? We definitely use lots of metallics, but less of the traditional reds and greens that you might expect. I always think about reflecting the landscape we live in, particularly as we have so much glass in our home. That said, the kids do have free reign in their own bedrooms and they are big fans of colour! 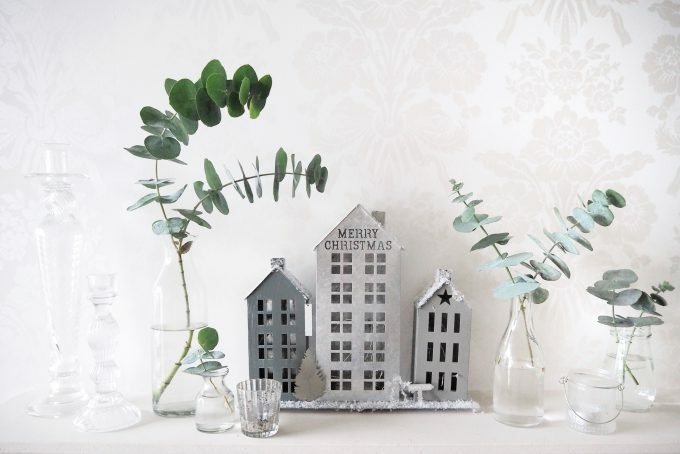 What are your top Christmas styling tips for those who don’t want too much fuss and prefer an understated look? Perhaps just focus on one key area of your home to decorate. A living room or hallway, for example. 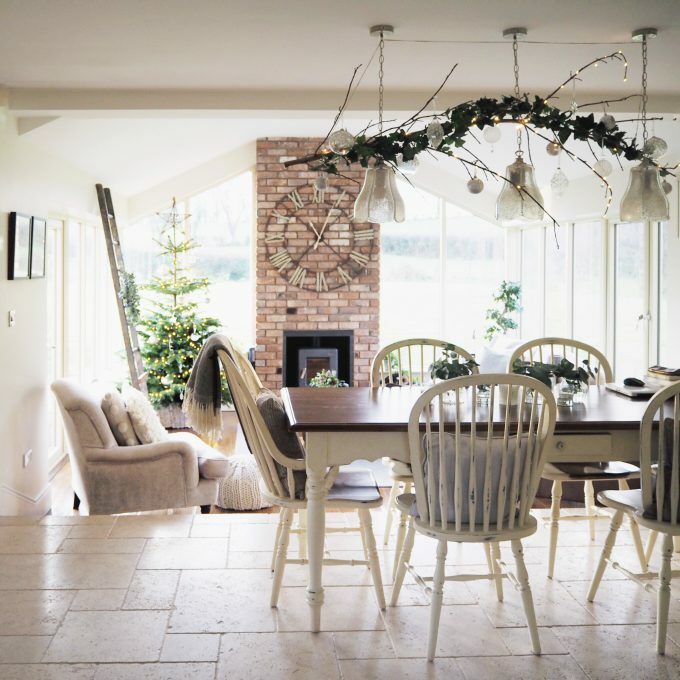 You can go all out in that room, but equally, escape to normality if the clutter is driving you crazy by mid-December! Also, keep things quite neutral in terms of colour. 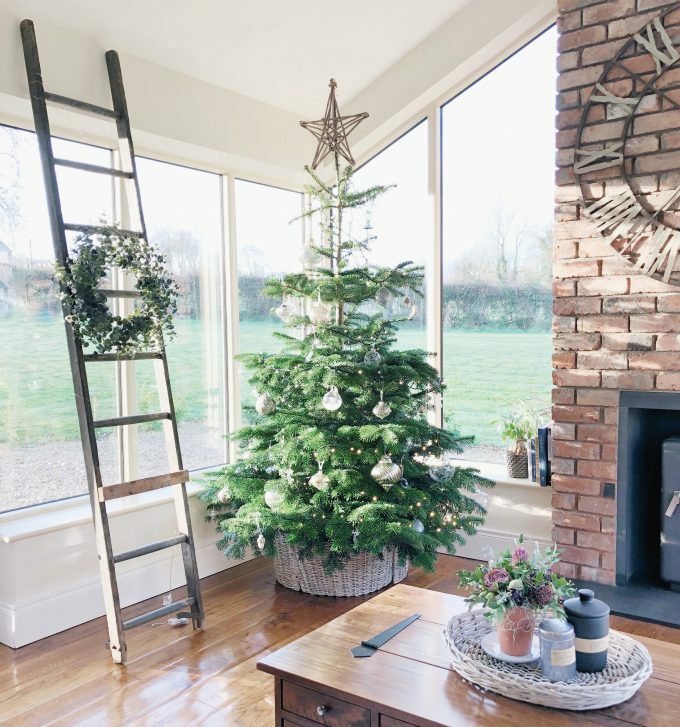 A miniature spruce tree in a wicker basket or pot can look beautiful just strung with simple lights – set it on a table or windowsill for a scandi, minimal vibe. Equally, white paper stars hung at different levels in a window can provide a bit of welcoming festive cheer without flashing lights and glitter everywhere! 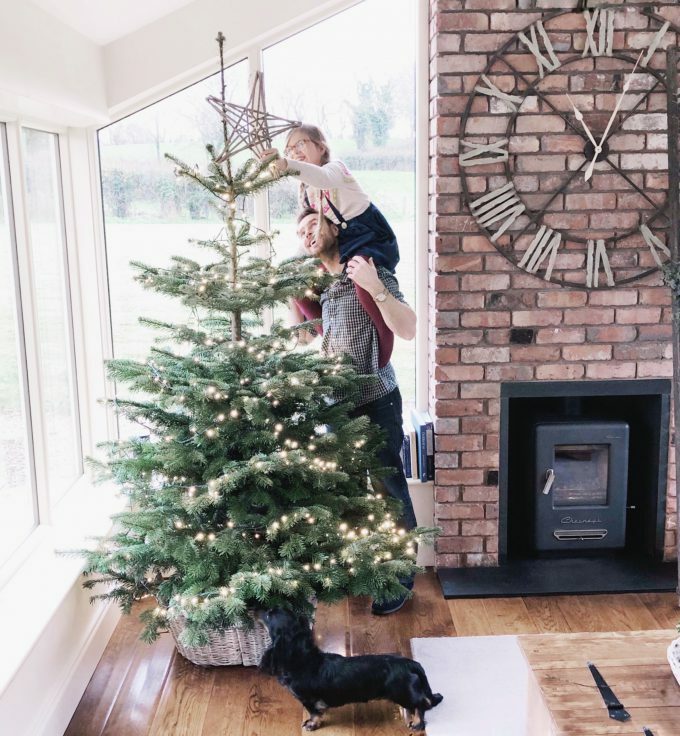 How do you get your children involved in decorating your home for Christmas? We have a big decorating day each year and we put on Christmas tunes, light all our festive candles, bake something with cinnamon in and get stuck in. It’s one of my favourite days of the whole year, and one we all look forward to. When the kids were younger (and the decorations mostly ended up on the bottom three branches of the tree!) I would have moved things around a little after they went to bed. Now they’re all well skilled in the process, and I’m becoming pretty redundant! It’s so much fun to experience it all with them. Do you have any unique Christmas table styling tips? I use a roll of hessian for my table runner each year. It’s really inexpensive to buy and protects the table from hot dishes. It’s not too much of a disaster if something is spilled on it either, and I can just roll out another piece. I use all my existing crockery and add napkins with little silver stars, as well as lots of candles of different heights, interspersed with offcuts from our Christmas tree. Finally, when do you start making your house festive? Do you wait until December or do you get started earlier? I was always very strictly a first of December decorator, but in the last few years, my job has dictated that we start a little sooner than that. My husband is always a bit bemused by it, but I’m definitely not mad that we are introducing bits and pieces from early November. I joke that it’s ‘Winter’, not ‘Christmas’ décor, but I’m not sure he’s entirely on board with my vision! We always buy a real Christmas tree for our main living space, and usually, try to leave that until early December so that it’s still fresh. We have a big party at our home every Christmas Eve and no one wants a bare tree before the big day has even arrived!